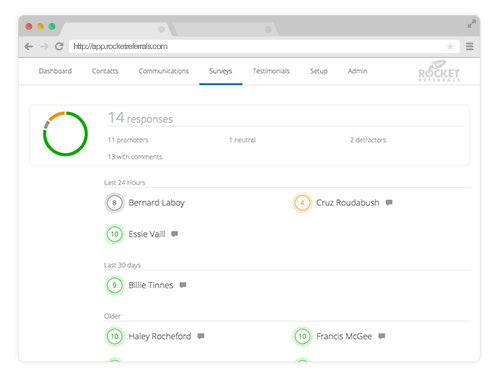 Companies using Rocket Referrals have increased referrals from 3 - 9X. Identify your top promoters and convert them into raving ambassadors. We send the right message at the right time to get the most out of your loyal clients. What’s more, find unhappy clients that could be turning new business away from you and turn them into your top promoters. 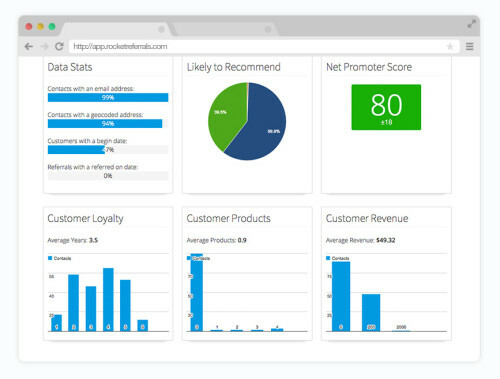 Segment your clients based on their loyalty to your company. Discover what your clients think about you, identify trends, and resolve negative feedback. In some cases detractors could be taking business away or referring others to a competitor. We’ll help you identify those people so you can help them move on, or fix their issue. Mass communication is not in our vocabulary. Every touchpoint is personalized and relevant. 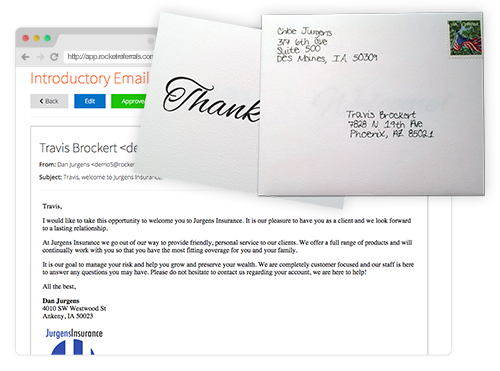 We elevate relationships with targeted email and handwritten cards so your clients keep smiling. Say goodbye to bulk emails. We reach your clients with entirely personal and highly meaningful communication. We reach out to your clients regularly so you never miss out on another referral while dramatically increasing your retention. We know how to get your promoters talking. Have testimonials and reviews posted directly to Facebook, Google, Yelp or directly to your website. Boost your online reputation without lifting a finger. We’ll encourage your best promoters to promote you online. Testimonials and positive reviews posted to social networks bring prospects directly to your door. 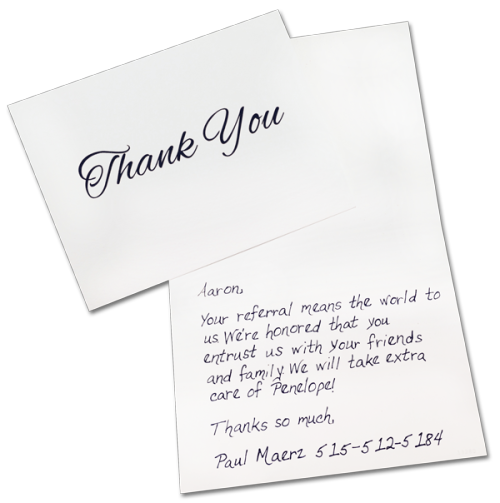 Your clients will not only open these cards, but will also thank you for them later. Best of all, you don’t have to do any of the hard work. We’ve got that covered. Break through the noise by reaching your clients on a highly personal and meaningful level. Deliver a positive message with a clean and tasteful layout. They will think it came straight from your desk. The number one reason clients end up leaving is because companies often fail to communicate with them regularly and in a meaningful way. We stop the bleeding and inspire cross sales by making your clients feel loved. We automatically identify unhappy clients and let you know why they are upset, so that you can turn their frown around. Most clients are simply not aware of all the products and services you offer. We fix this and encourage them to buy more. Getting started and managing your account is super simple and intuitive. We designed a system that makes your job easier and your clients happier. Forget straining your brain to find the perfect message to send your clients. Our industry experts have thought of everything for you. We are the only automated system available that is ready to go out of the box. We’ve already thought through all the hard stuff so you get the best results straight away. Want to see things in action?